Clove is a spice that comes from an evergreen tree in the myrtle family that is commercially cultivated in Indonesia, Madagascar, Pakistan and Zanzibar. The clove, which resembles a nail with a head, is the dried calyx of the undeveloped flower with the embryo seed attached. They are not hand-picked as many other spices are, but are beaten or shaken from the tree. 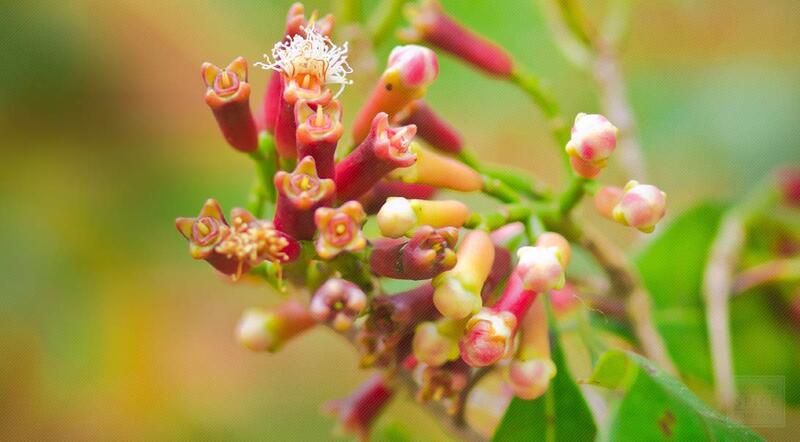 Whole cloves are used in cooking, potpourri and other crafts and to make tinctures. The ground spice is primarily used in baking. It can also be combined with arrowroot for use as a natural blusher or foundation. To shop all of our Cloves or for more information about organic Cloves, please visit our full Cloves page.